On the outside, Elle Woods seems like the perfect stereotype: blonde, sorority president, and girlfriend of the perfect Mr. Senator-to-be. But once Warner, the infamous Senatorial boyfriend, breaks up with Elle, or “Pooh-bear” as he affectionately calls her moments before ending it, Elle strives to become “serious.” Since Warner dumped her because she was too fun, and, well, blonde, Elle sets out to prove that she can be a suitable wife for Warner as he climbs the ranks of high-society. But while Elle begins her transformation for Warner, her reasoning for her lifestyle modifications changes pretty quickly. As the movie progresses, Elle goes on to try to prove to her parents, professors, fellow students, and even herself that she is Harvard-worthy. Her unwavering determination to be the best she can be is nothing short of admirable. 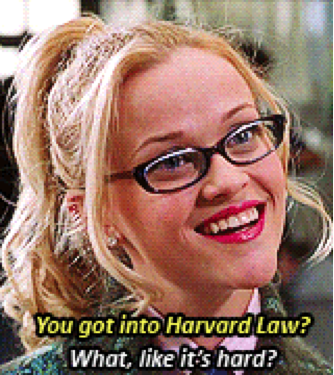 Elle Woods slowly works her way to the top and successfully keeps her integrity intact while doing so. Elle demonstrates her kindness and strength when she refuses to give away Brooke Windham’s alibi despite immense pressure from her fellow interns, when she helps Paulette get her dog back and stand up to her dead-beat ex-husband, and when she befriends Vivian despite all the awful things Vivian has said and done to her. The only time she doubts herself is when Callahan turns out to be a creep, but even then she turns around and bests everyone that underestimated her, Callahan included. Success is definitely the best kind of revenge. Watching Elle Woods keep the femininity she is so often looked down on for having is both heart-warming and inspiring. Watching Elle slash common female stereotypes by befriending her so called competition Vivian and calling out others’ condescending and unkind actions is refreshing. 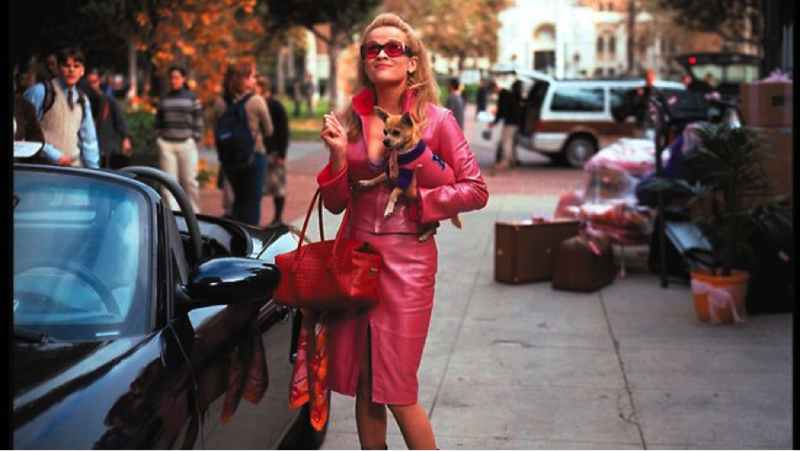 At first sight, Elle Woods seems like a Barbie-doll airhead, but on the inside, she’s smart, funny, and brave. It’s abundantly clear how wrong and harmful stereotypes can be. Legally Blonde is irrefutably one of the strongest pro-feminism movies of all time. Seeing Elle find her footing in that world without losing herself in the process is wonderful. A role model for girls around the world, Elle gets into Harvard Law School, manages to get high marks in all her classes, juggles an internship, and takes care of her dog all while sporting her trademark pink. The next time you feel a little down, pop in Legally Blonde, channel your inner Elle Woods, sport a little pink, and hold your head that much higher.